The annual cost of driving can easily run into the 1000’s. MOT, insurance, breakdown cover, parking, fuel and repairs... the list could go on...BUT! There are numerous ways of saving money with your car and reducing that pinch on your pocket. We’ve collated some of the easiest hints and tips to consider as a car owner to help you out. Don’t drive like Lewis Hamilton – This may seem obvious but aggressive accelerating and braking can use up to 60% more fuel than taking it easy on the road. We aren’t suggesting driving like Miss Daisy, but being able to predict the road ahead is not only safer for you and other road users, but means you may only need to slow down a little rather than screech to a sudden stop which won’t benefit any part of your car [or your nerves]. Nice Wheels! – When you’re next filling up, take five minutes to check your tyres; pressure set too high or low will not only have a detrimental effect on your tread and road handling, but can waste as much as 3% of your fuel consumption. You can find the correct tyre pressure in your car manual, on the inside of your driver side door, or on the inside of the fuel cap. Unnecessary wear and tear caused by poorly managed tyre pressure, will reduce the life of your tyres too. Avoid a foolish fail – 40% of cars fail their MOT test first time round and far too many of these are for a simple, avoidable reason. You don’t need to be a mechanic to prepare your car for its MOT test. Things like topping up your screen wash and replacing broken bulbs, or balding tyres can be dealt with easily before the test is taken and aren’t always expensive either. Take a look at the government guidance on how cars are tested during their MOT and save yourself costs where possible. Have you put weight on? – When was the last time you looked in the boot of your car? Well little Timmy’s toys, the box of books for the charity shop and the buckets and spades from the non-existent summer are costing money! The extra weight a car has to carry about burns more fuel, as does that roof box you cruised around with for the six weeks holidays. Not only is it extra weight, but at high speeds it also causes drag and resistance which costs.... yep that’s right, more money in fuel. It’s also worth remembering, fuel is heavy. Don’t fill up your car unless you really need to, the less fuel your car holds, the more efficiently it drives. 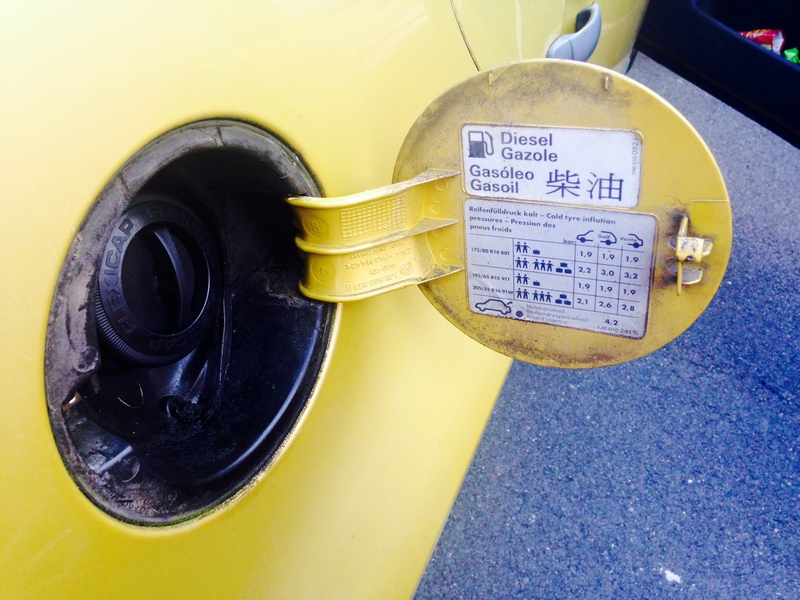 Multi Tasking – Petrol? Shopping? Visiting Mom? Starting your engine from cold uses a huge amount of fuel. So if you have several errands to run, try to get them done all in one journey [and it’s even better if you get them done out of rush hour periods]. Longer journeys offer less wear and tear to your car than lots of short ones and you’ll find they are more fuel efficient too. Nothing but the best for my Car – Why? Unless you’re tootling around in a Porsche or a Lamborghini, there really isn’t any need to use optimum performance fuel. And with the difference as much as 10p per litre, if you really don’t need it, don’t use it! According to the AA, if it’s not a sports car then, at most, filling up with high performance fuel three times in a row should be more than sufficient to help with efficiency and keep your engine clean. Don’t ignore that service light! – It’s important to remember a service is in no way the same as an MOT. Unlike an MOT services aren’t compulsory by law. A healthy vehicle will prove to be a more affordable vehicle. Little things which require a bit of TLC every 6 – 12 months can develop into drastically more expensive jobs if not nipped in the bud. For example oil left to its own devices for too long, can congeal and leave your engine starved of lubrication. There are many similar things a service can rectify for a relatively small cost [when considering the price of a resulting disaster]. Having a professional give your car a once over every 12,000 miles can save your pocket and ensure the safety of your car. Thinking logically, one missed problem could cause serous mechanical problems, which could cause a serious accident, which would bump up insurance premiums and affects no claims discounts... the implications can go on and on... Be savvy and service regularly. To top it all off Setyres offer a wide selection of money saving vouchers – click here to take a look and let us help you keep the cost of repairs, maintenance and replacements on your vehicle down. Find your nearest Setyres branch here with any queries you have or quotes you might need.